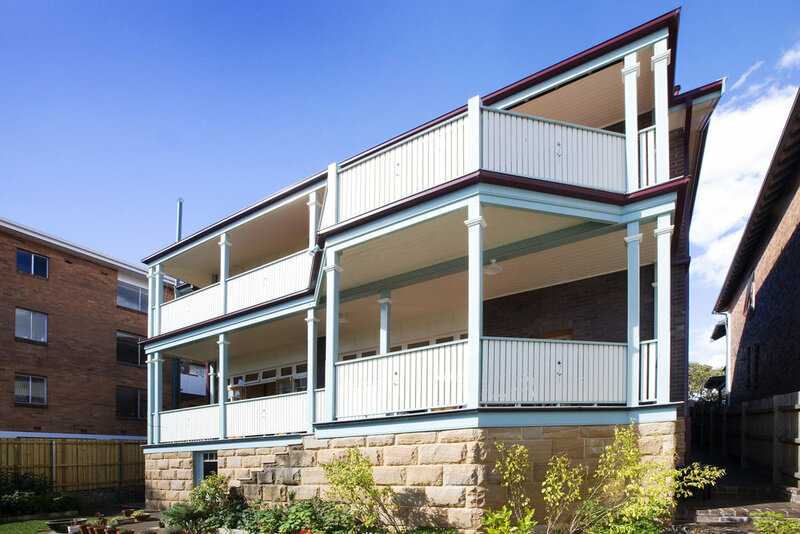 Complete restoration and renovation of a federation era Home in Sydney's Mosman. This unique project entailed the extension of this home over three levels at its rear. Our clients were very conscious about replicating the original aesthetic of the home, and that of the surrounding area of Mosman, which is highly influenced by federation era architecture. The project involved enclosing the existing balconies at the rear of the home to create larger internal rooms, and replace them with the new extension. In addition to this, we also created a new garage at the front of the property that tightly integrated with the appearance and proportions of the main house. Being an older federation era home, we performed rigorous investigations in to the buildings foundation and footing systems to ensure that the extensions could be supported and not impact the original homes structure. After being awarded the contract, we worked alongside the clients architects, Owen Kimberley, to provide details and opinions on the finishes – in particular those finishes that would help to create a seamless integration between the old house and new. Large timber members, sandstone blocks, timber fretwork and bricks were all chosen to appeal to the style of architecture that the home deserves. The existing footings were reinforced to ensure stability in the original house, from which we then extended out. A suspended slab was adopted for the ground floor balcony and a full timber system for the first. Although a small portion of the project, the garages street-facing position made it integral to the styling, so we made sure we got it right. 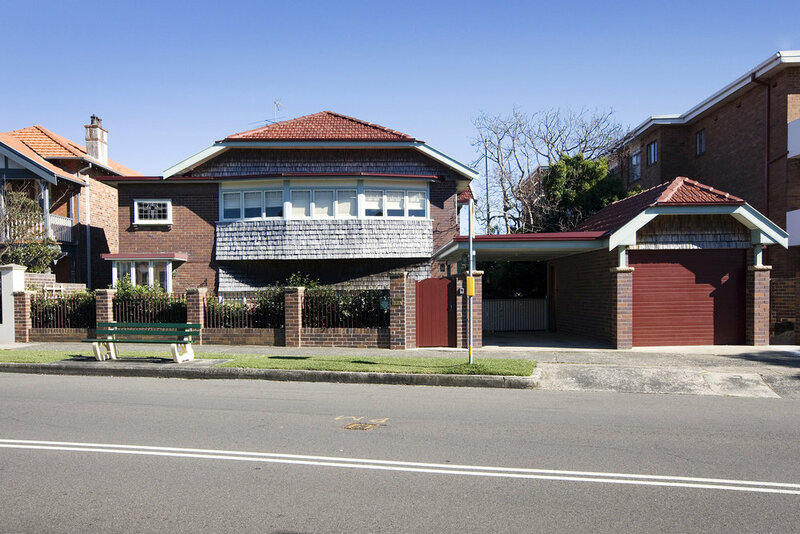 The brickwork, bargeboards and jerkin-head style roof were all perfectly matched to the original house. The main challenge in this project was sourcing the materials that would best suit the architectural voice of the home. We painstakingly visited multiple brick yards to source the closest matching brick to the original home, and did the same for the timber shingles seen on the garage.